We’ll view your vacant home in order to give you a proposal at no cost and ask that if you can’t make your scheduled appointment that you call us prior to the appointment. If we show up and you don’t . . . please note that there will be a $50 rescheduling fee. We only schedule vacant stagings after we receive a signed agreement – we want to make sure you know what to expect and that all your questions have been answered. 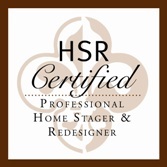 We need 3 full business days to prepare for your staging from the time we receive the signed agreement. This gives us time to schedule the movers, assistants, truck, driver and photographer. It also gives me time to develop a design plan that will have a “Wow” impact on buyers – both online and in person. After I develop the plan, it’s time to pull the inventory and pack; everything from décor to furniture, art, rugs, pillows (lots of pillows! ), bedding . . . everything needed to make your home stand out from the competition. We do require a credit card on file. We accept payment via credit card, ACH payment (bank transfer) or check. Congratulations! Your home is in contract and it’s time to de-stage. Please remember: we need time to arrange for the de-stage too. With other homes being staged and de-staged, and dates changing, we’re always working with a moving target. We ask that you give us 7 days’ notice to de-stage. This gives us time to schedule the movers, driver, truck, assistants and make room on our calendar, pack and wrap the furniture. The vacant home is required to have running water, heat or ac (depending on the season) and electric. We’ll tidy up when we’re all done; however, the home should be cleaned, (including the floors) prior to the staging day. For the safety of our team, during the winter months we require that driveways, steps and sidewalks leading to the front door are clear of ice and snow.